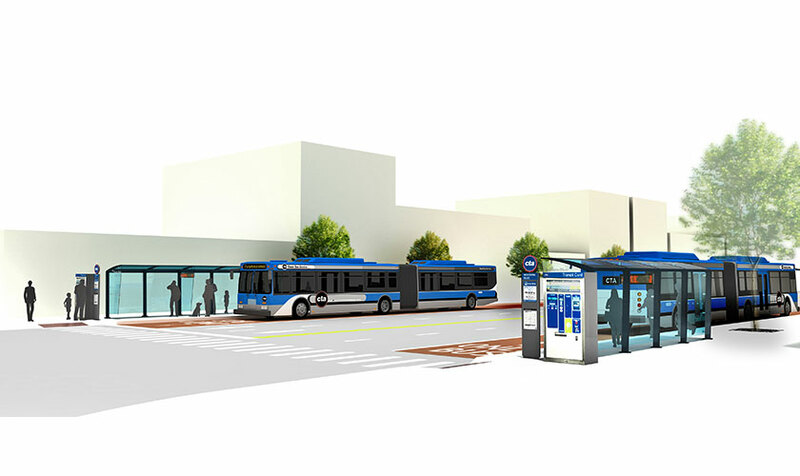 The project consisted of a study, conceptualizing the Bus Rapid Transit as an integrated means of transportation in the City of Chicago. 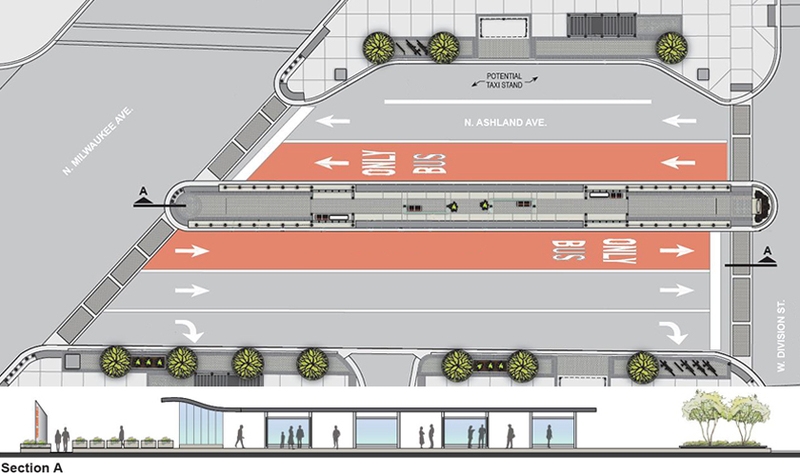 The new means of transit would dedicate bus lanes stretching 21 miles from Howard Street to 95th Street, along Western and Ashland Avenues. 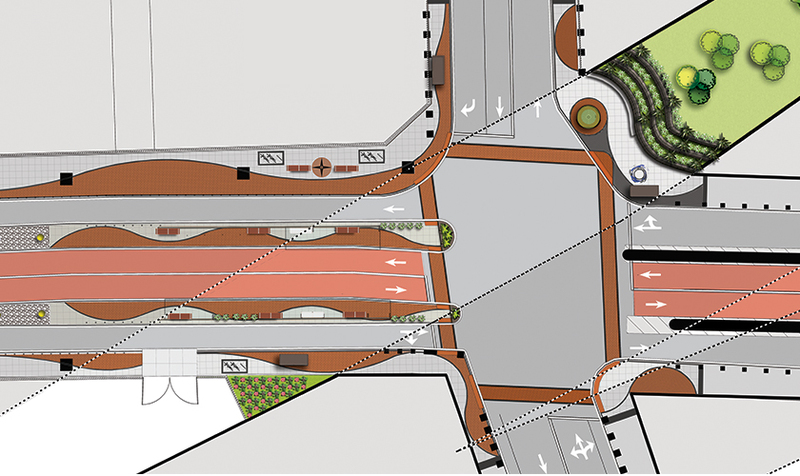 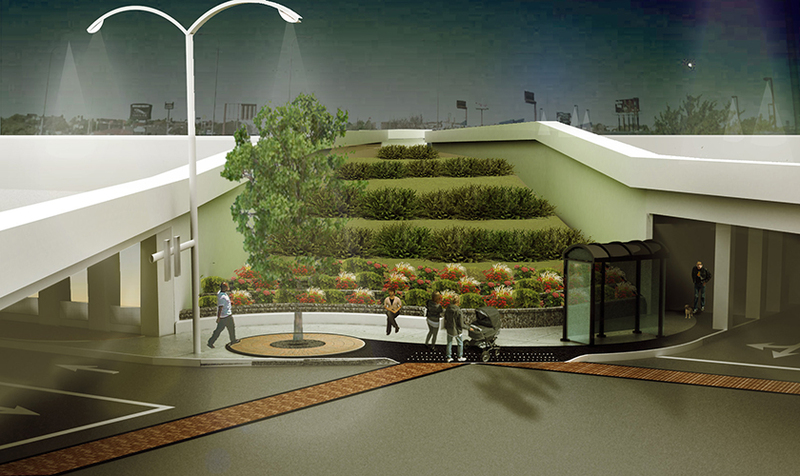 KMI’s scope of work involved an analysis of landscaping concepts for the Bus Rapid Transit System. 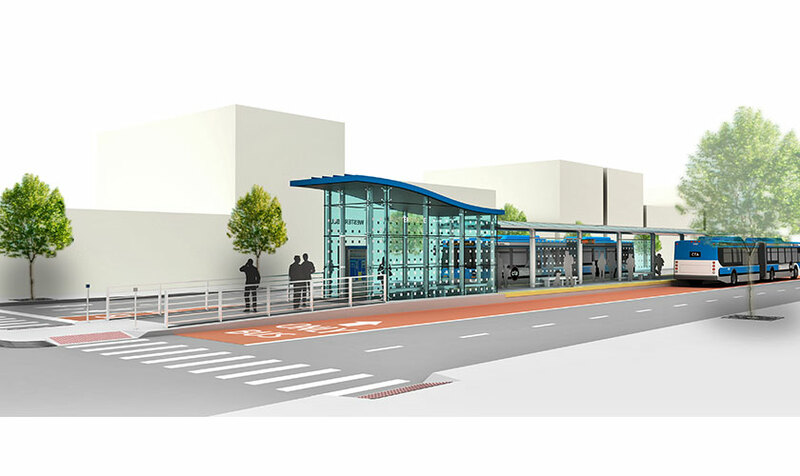 The designing of the streetscape adjacent to the bus lanes was integrated into the bus stop area creating a more pleasant environment for passengers. 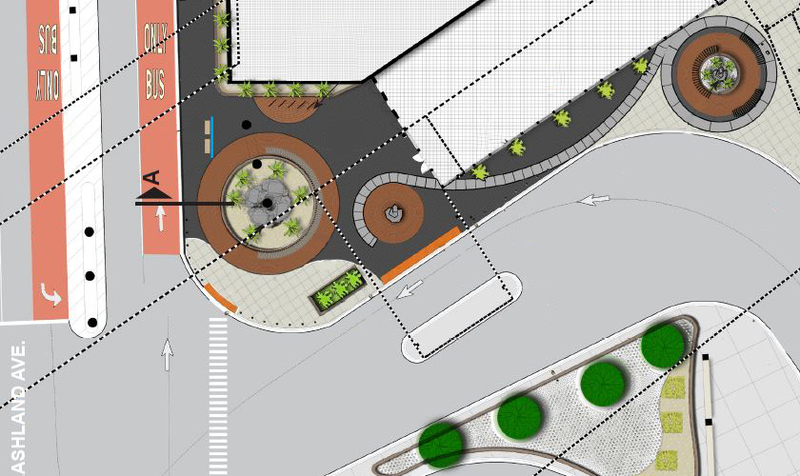 The design of the median space was comprised of hardscape and landscape, custom site features, and traffic barriers, in order to fulfill passenger circulation, standing and aesthetic needs.